I knocked on the door and she just looked at me. 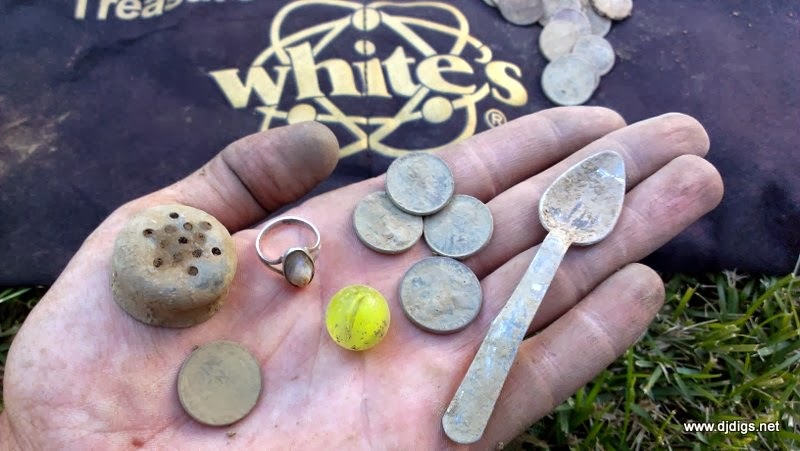 I introduced myself and told her my hobby was metal detecting. She started shaking her head "no." I went on to say that I was working and detecting at the house next door, and I was wondering if she would mind if I went into her yard, too. She was shaking her head "no" the whole time I was talking. And then, while still shaking her head "no," she said, "yes!" I was surprised. I thanked her and gave her the thumbs up, and I told her I'd be back after work. She didn't really seem to care. We ended the work day a little early, so I headed over to this site. The yard is not very big at all, so I decided to bring multiple coils to play around with. During the first few minutes using my new D2 coil, I dug the average clad here and there, and then got a deeper jumpy signal. 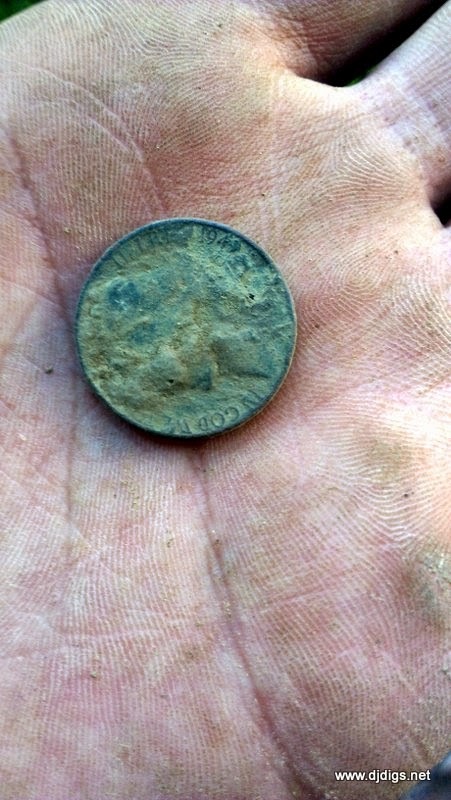 I dug down and found an old pocket spill of 3 wheat pennies and a Jefferson nickel from 1949. The next good target turned up an old salt or pepper shaker top. 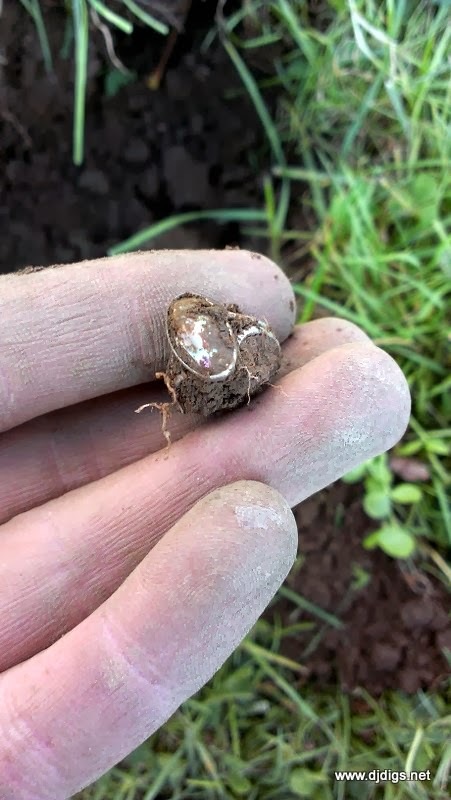 Now, that's a pretty neat find in itself, but this one happened to have a nice yellow glass marble inside. 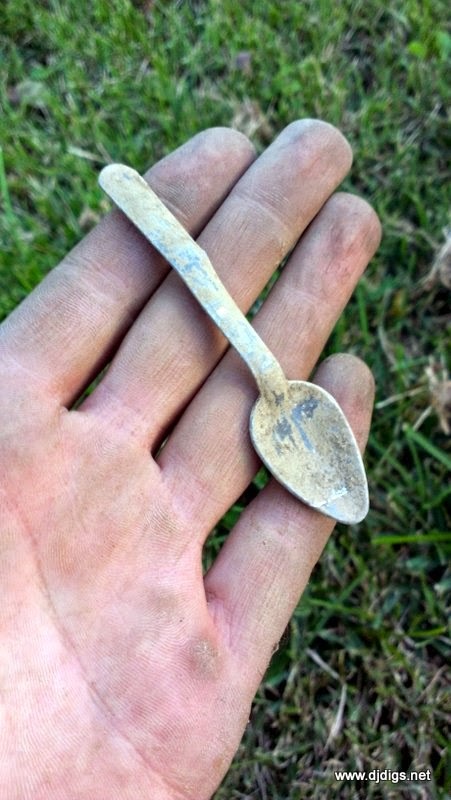 A few minutes later, I turned up an old kids toy spoon. I enjoy spoons as well, I've amassed a collection over the years. 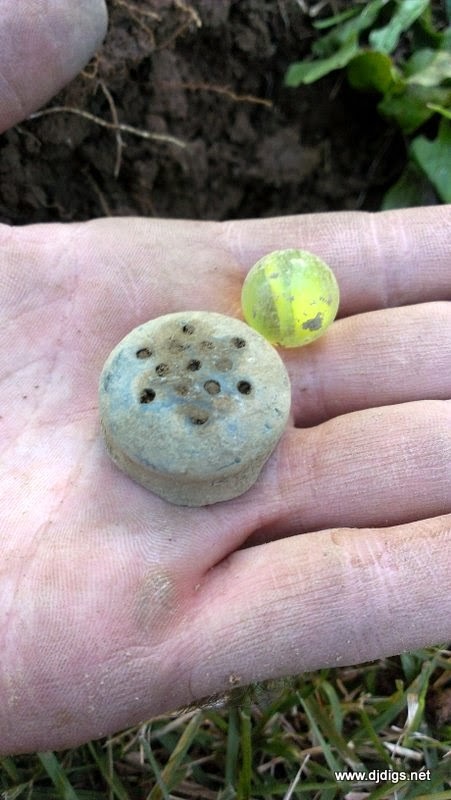 It's funny that I can tell today which toys were popular back then - just from metal detecting. 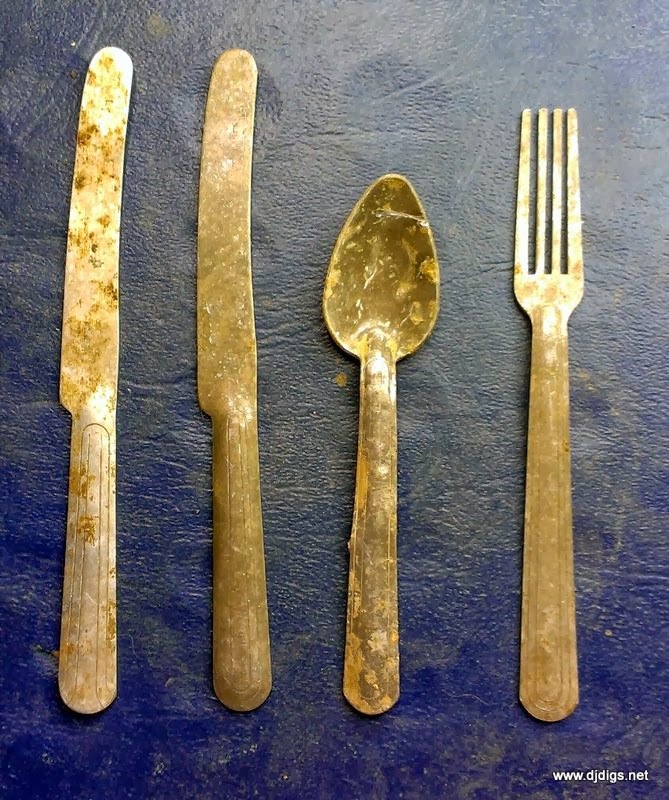 I've dug a whole set of kids play silverware: spoons, knives, and forks. I wasn't getting many signals with my D2 coil, so I decided to put my 8 x 14 DD on. This coil is a beast. And it gives my arm a workout. 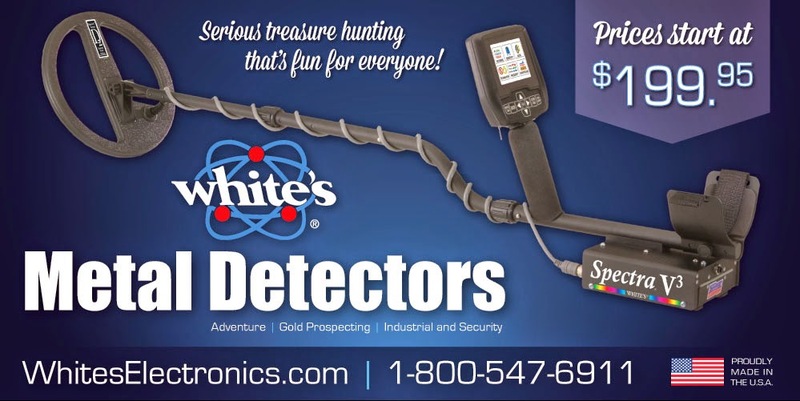 It detects even deeper in clean ground. But, I wasn't really finding many signals that I missed, with the exception of deep clad here and there. 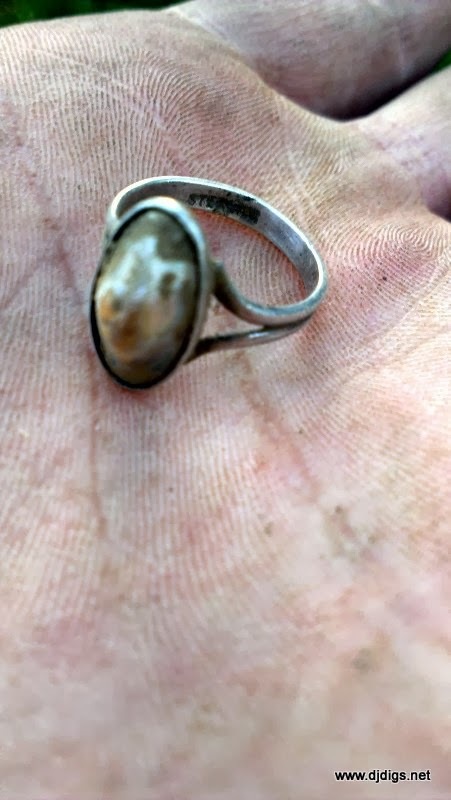 I finally squeaked out a nice deep high tone and turned up a beautiful sterling silver ring! I even said to Jim earlier that day that I would like to find a nice piece of jewelry - and I did! It's been a while since I last found jewelry. After a few minutes of hunting with no signals, I decided to pack it up. It was a fun day with beautiful weather, and I got to get out for a little bit. Switching the coils really made a difference... if you can do it, I highly advise it.